What Are Shorts? And Why You Should Use Them Too. There are few things lamer than blogging about blogging, but this is a subject I think is very important. In my virtual circles, Twitter has killed blogging. I do not believe Twitter did it on purpose. Twitter is simple, and you can reach a lot of people quickly. And despite all the negative energy around Twitter, it still the place where I learn the most on a daily basis. What concerns me about blogging’s demise is how much information vanishes after a couple of minutes. You can like it, but good luck finding in the future. What I am trying to do instead is something I am calling shorts. 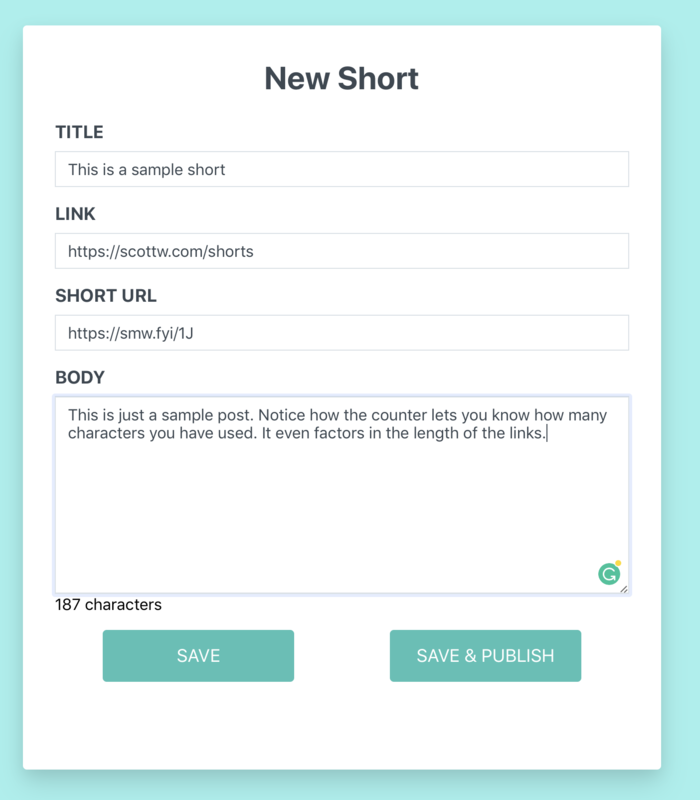 A short is a post that is either small enough to live inside a tweet or has enough formatting applied so that it can start as a tweet and can be followed on site if it piques your interest. If it is a link to another site, link to it directly otherwise link back to this site only if we need more than 280 characters. I then push the posts to their own feed and allow Zapier to deliver them to Twitter. The other significant benefit of this approach is I will have a list of content that I find essential that lives outside of Twitter. Long term, I would love to make this easy for everyone, but for now, I wanted to share how I am doing it and provide some tips and strategies for doing it yourself as well.